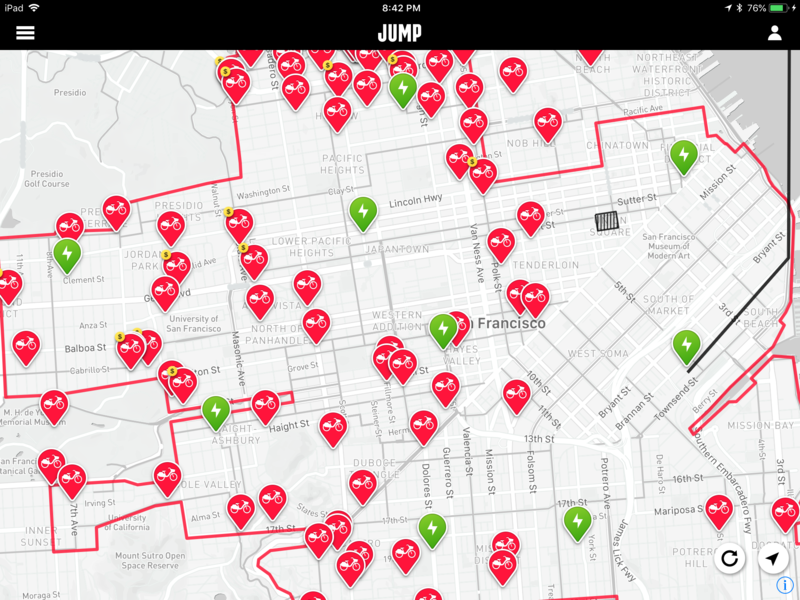 The JUMP San Francisco system now has nine charging hubs scattered around the service area, as shown on the map below, with the green lightning bolt icons being the charging hubs. I had previously written about the original charging hub at the Bluxome St warehouse, and wondered when there would be more. I have not been following closely, so don’t know when these showed up. Nothing in Sacramento, yet.